Know anyone who likes gardening? You now have the perfect gift for them in this Perennial Garden Kit. 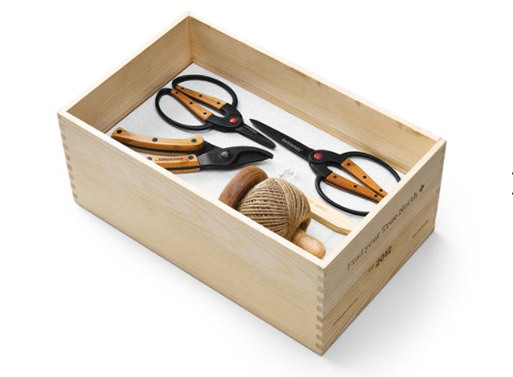 Two scissors, one pruner, wood stakes, and twine with holder are all held in a tidy pinewood crate. Like I said, perfect, right? And, I think it’s safe to say any gardener can never have too many garden tools (or is that just me?). Available from MoMA Store, $90.00.